This is my first attempt at a book review. Let me know how you think I went. 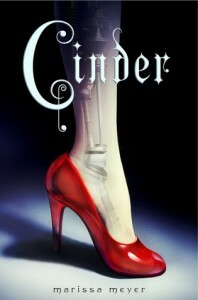 Cinder, the first book in The Lunar Chronicles by Marissa Meyer, is a retelling of the classic Cinderella story complete with cyborgs, plague and a tantalising hint of the Japanese anime Sailor Moon. Cinder is a cyborg, an orphan with no memory of her past and a collection of gears and wires were an arm and a leg should be. Her adoptive mother resents her, tolerating her only because of her ability to draw a wage, one of her two sisters hates her and the other, who’s actually nice, becomes fatally ill. All of this leads to Cinder being forcibly volunteered as a test subject for plague research where she uncovers her past and discovers hidden talents. There’s also a prince with a broken android, a lunatic queen, a ball, a fairy god-scientist and a small prosthetic foot. First off, just let me say that I loved Meyer’s substitution of prosthetic foot for the glass slipper. Very cool. Secondly I’ll tell you that I’m not a fan of dystopian fiction, I find it far too depressing, but I liked the grungy feel of the futuristic world Meyer created. It was dirty and crowded and the people were fearful and intolerant, creating the perfect environment for Cinder break free of the obligations and preconceptions that held her in place. My only criticism is that the city, New Beijing, felt more European than Asian, there weren’t enough details in Meyer’s description of the city to make it more than generic. 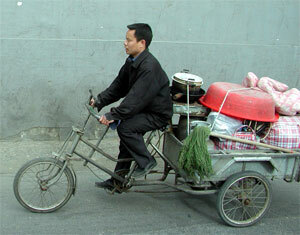 A few people driving about on ridiculously overburdened hover-bikes would have add a little colour, as would sprinklings of the native language, presumably Mandarin. I was disappointed with the direction the story took, while it moved quickly it wasn’t enthralling and I skimmed the last several chapters, there just wasn’t enough emotional development to keep me glued me to the pages between chapters 30 and 38. I think that the pace of the story was too fast and it need one or two points of stillness where Cinder had the space to reflect on what was happening to her, was in fact forced to reflect on these things, and allow them to change her in some small way. There were two events in the book that should have had a devastating emotional effect on Cinder but didn’t, or at least didn’t illicit any reaction from me as a reader. In these moments I needed her to feel vulnerable, sad even, alas I was disappointed. I’m a fan of stories with technologically augmented heroes (e.g. cyborgs), don’t ask me why, it’s one of those strange obsessions, and was a little disappointed that that aspect of Cinder’s character wasn’t exploited more. I’d have liked more descriptions of her interactions with the network (the future’s version of the internet), how she jacked in, what it felt like when she did and perhaps what it felt like to have prosthetic limbs. I liked Cinder but I didn’t love it, it lacked the rich character development and, I admit it, the angst of books that have truly gripped me in the past. I wanted her to embrace her cyborg nature and be empowered by the revelations of her past, I wanted her to use those things that mainstream society reviled and show them all up and while she did two out of three at the end, it wasn’t soon enough for me. In short I don’t think that Cinder was emotional enough for my tastes. The important question though, will I read the sequel? That all depends how much the ebook costs, because while I’d like to see what happens next I’m not so hot to trot that I’ll spend the equivalent of another five ebooks on it. As a writer I’m taking two things from this book. The first is the reminder that a storyline doesn’t need to be complicated right from the beginning. “Less is more,” they say and I’m taking this advice to my writerly heart. My characters will step into their roles smoothly, seemingly by fate and without of clue of the adventures that await them. Lesson two is emotion, my characters are going to experience their emotions, be moved by them, motivated by them and the reader is going to feel it too. Edit: Here’s a clip from the audio book version of Cinder, courtesy of Macmillan’s (Cinder’s publisher) impressive publicity machine. I saw the author’s interview on John Scalzi’s Big Idea. I can’t remember if I downloaded it at the time. Your synopsis and general discussion do a good job of helping someone understand if they would like the story. I like the way you pull it back to the writing and discuss the lessons you’ve learned from the book! Thanks Aidan 🙂 I’ll be looking up that interview. As a writer it seemed a little silly not to discuss how my reading influences me and expands my knowledge the craft. Doing so raises my awareness of how and why things are working and helps me decipher what’s going wrong when they don’t.